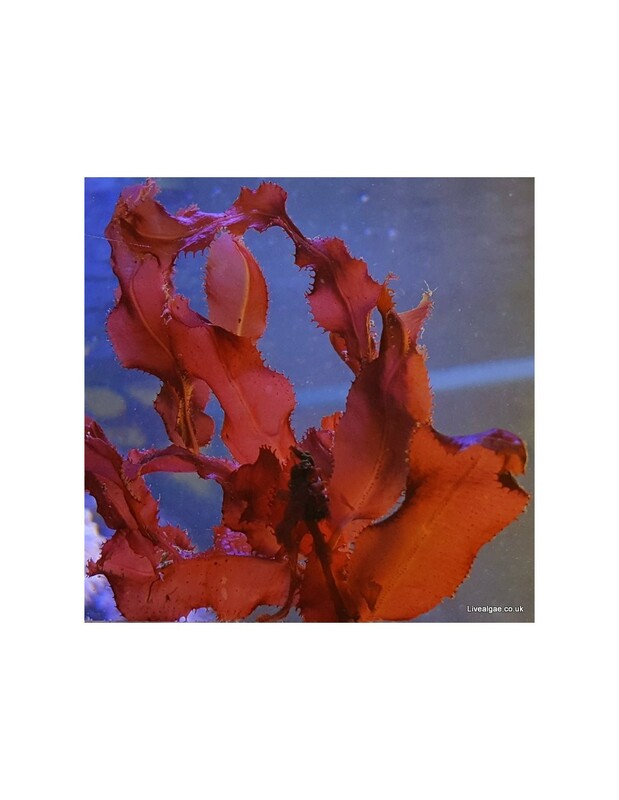 Cryptonemia Crenulata is a very rare to find macro algae, which is a shame as it is with its thick branches and its deep red colour a real eye catcher in the tank display. Unfortunately, it grows extremely slow, so we can offer this macro algae just from time to time. It is an easy to care for as it is non-invasive and needs just low lighting. 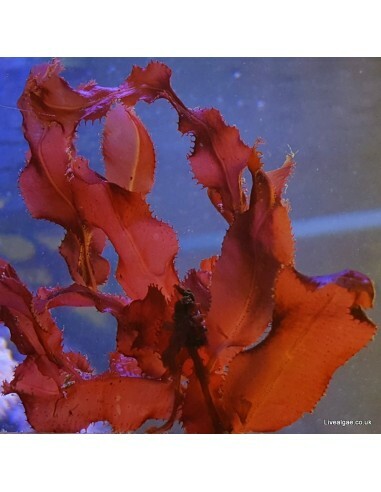 This macroalgae prefers low to medium light. Its deep red colour is best to reach with a lower lighting with a 6500k ( daylight ) light colour spectrum. We haven't seen any interest in this algae whatsoever from any fishes or critters. So it can nice and slowly grow to become a centrepiece in your tank. It will not attach itself, but it can easily be kept in place with some rubber band, superglue on rocks or similar. Order arrived a bit later than expected but they messaged me about this. The macro algae look well and are now hopefully doing well in my tank. Thank you, excellent communication and good price. Delivered when they said.